The New Art Gallery at Walsall is currently showing off its new Auerbach – a version of To the Studios from 1983, once owned by Lucien Freud, and now at Walsall via the Accepted in Lieu tax scheme. And here it is. In my humble opinion it’s not quite his best – a bit muddy and muddled in the middle – but still worth showing off, of course. 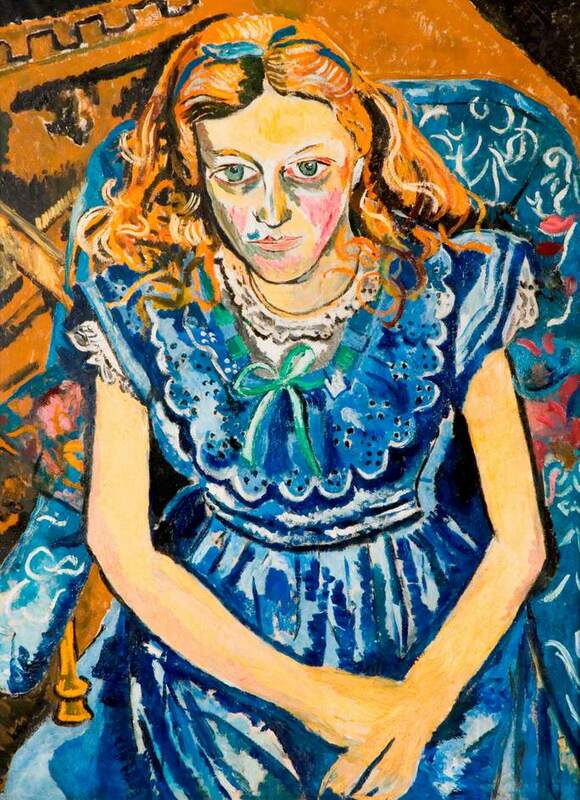 What Walsall rarely shows off are two fine Auerbach-ish works they already have by a less known painter on whom they hold a virtual monopoly – Jacob Epstein’s son Theodore Garman. 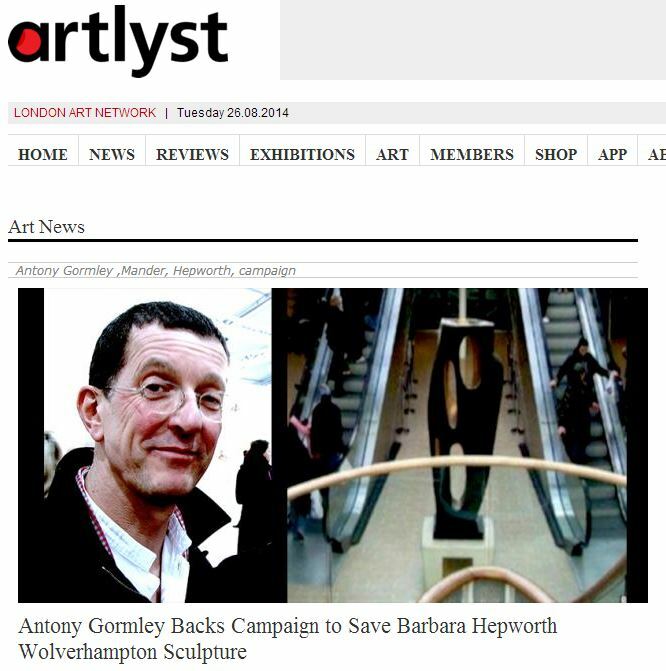 Find him on the Art UK site and 23 paintings come up, all but one at Walsall. Theo Garman, born in 1924, was Epstein’s son by his partner Kathleen Garman, though Epstein never publicly acknowledged the relationship. Due to his cheerful childhood disposition he was known as “Sonny”, but in his adult years he suffered grievously from depression, and was given a disputed diagnosis of schizophrenia. Later, as his instability deepened, he required considerable care from his mother Kathleen. 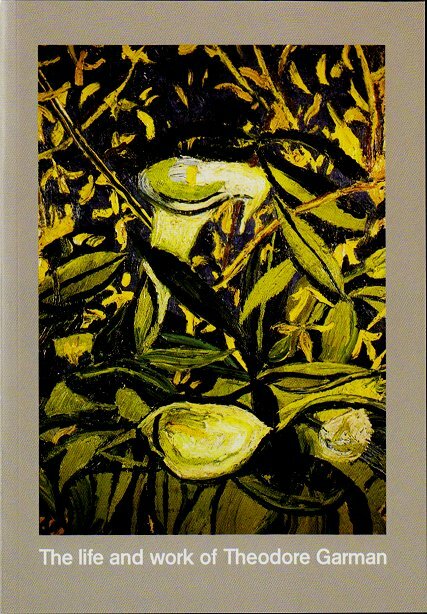 As a painter he moved in an artistic environment, but was essentially a self-taught loner, admiring Matisse and Matthew Smith but dismissive of “the Sutherland-Piper-Moore claptrap”. There’s no denying that the so-so landscapes and still lives of Garman’s earlier years had toughened up admirably by the late ‘forties, and his Matissean looseness had become more of a freedom than a weakness. Jennifer Gray, whose M Phil thesis on Garman sits unpublished in Walsall’s archives, but who authored the 2004 booklet on him, speculates that “his illness, far from inhibiting his creativity, may have enhanced it, allowing him to be liberated and able to explore new ideas and techniques.” Maybe so, though one wishes to avoid slipping into the suffering genius narrative here. 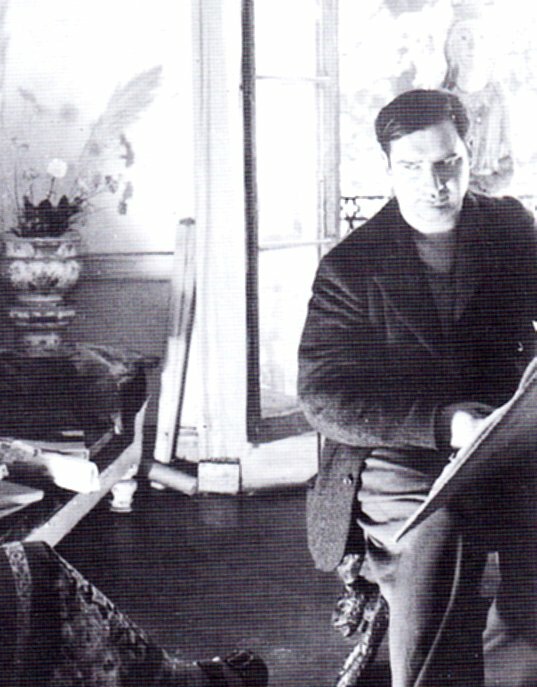 The two late paintings that best exemplify this late development are The Old Forge Chelsea I and II, produced in 1953, shortly before Garman’s tragic and early death. 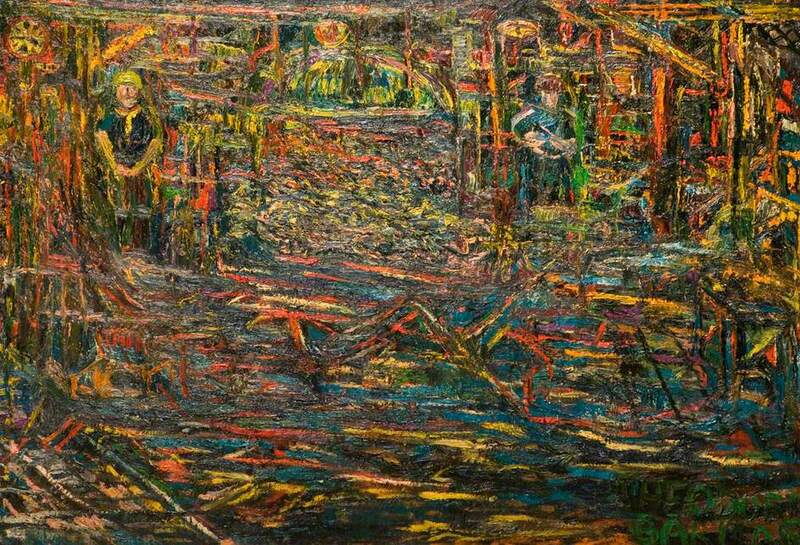 In these his deepening impasto is matched with tangled, angular, linear shapes and rich, dark, dense colours, reminiscent of Auerbach and Leon Kossoff and of their teacher David Bomberg. 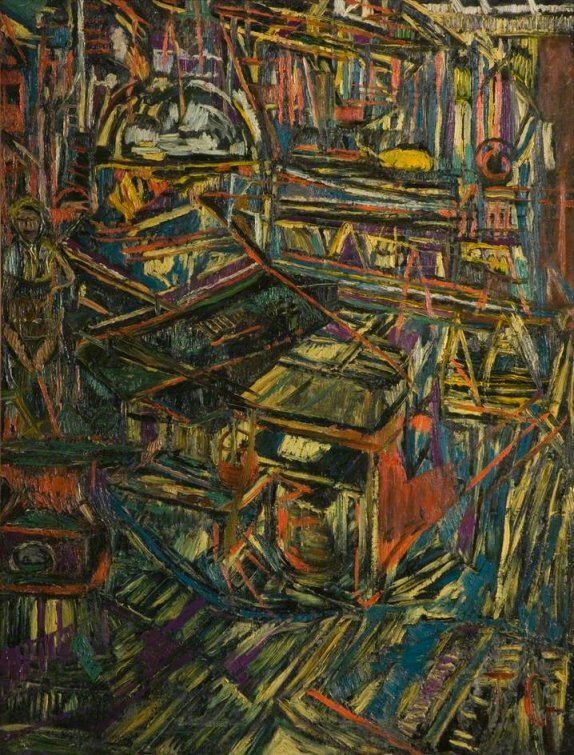 Auerbach and Kossoff were still students in 1953, and I’m not aware of any direct connections here, but it certainly looks as if Garman had had second thoughts about some aspects of modernist style. In January 1954 Garman, in something of a disturbed state, borrowed a small statue for a still life from Chelsea School of Art and was promptly accused of stealing it. The police were called. Stephen Gardiner’s 1992 biography of Epstein gives a bare but careful account of what happened next: Kathleen, to prevent his arrest, arranged for his hospital admission, but when the ambulance arrived Theodore, thinking himself kidnapped, was overwhelmed by panic and died of a heart attack while struggling with the male nurses after injections of sedative. He was 29 years old. Despite an anonymous letter to the police complaining of “the barbarous manner in which he was virtually hounded to death” the coroner’s jury returned a verdict of death from natural causes. Later the same year Theo’s sister Esther committed suicide. In an appendix to her rather gushy 2004 boho-romp The Rare and the Beautiful. The Lives of the Garmans, Cressida Connolly rakes over the circumstances and their associated rumours, but in the process discovers precious little. It’s too easy to suggest that the dark angularity of these paintings is somehow expressive of Garman’s suffering or reflects the appalling tragedy that overtook the family. But the two works do seem to indicate a deepened and more complex sensibility, and may suggest something of what Garman might have gone on to achieve and sustain if he had lived. Today he is largely forgotten, his “high place among his contemporaries” sadly unassured. “Sally Ryan, a resolute wisp of a girl … never cared a whoop about society but cared a great deal about sculpture. So she became a sculptor. 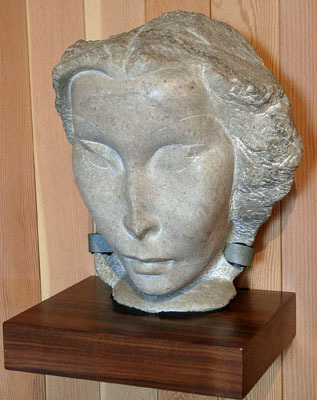 In 1935 Ryan visited London and tracked down Epstein, who became an important influence on her work. 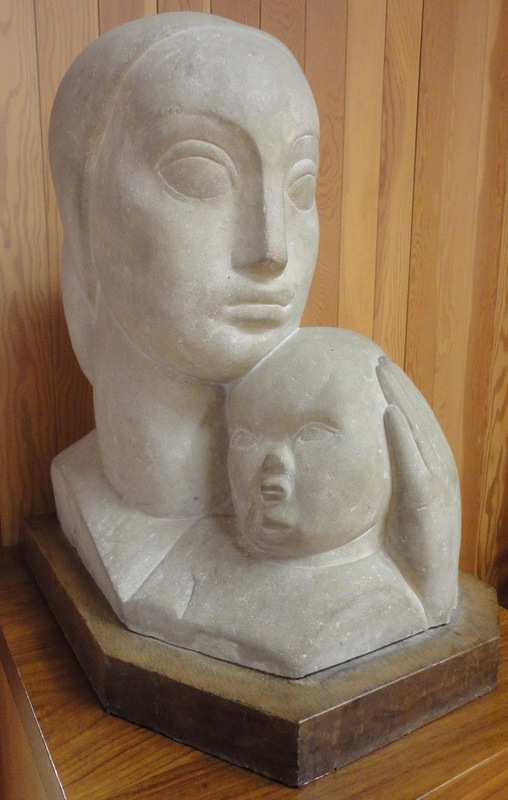 The Garman Ryan collection includes a number of her pleasing portrait bronzes in his manner, but I much prefer her carving, represented there by two pieces: a handsome Unfinished Mask in marble, and a remarkably tender limestone Mother and Child that shows the absorbed influences of Epstein, Frank Dobson and early Hepworth. She was a prolific worker, so where’s all the rest of her carving? I’m not sure, though several photos, apparently from the mid ‘forties, show another large mother and child in progress. As a bit of a rich kid, Ryan didn’t want for publicity shots. I particularly like the first Alfredo Valente photo below where, hammer in hand, she leans meditatively on a large carving, looking boho-preppy in shorts and pumps. Accounts always mention “mannish clothes” – blue or grey flannel slacks and a boy’s shirt, old sweaters and battered oxford brogues – which were taken as a token of her sexuality. A later image shows her as remarkably elegant. A write-up in a June 1940 issue of Life suggested that “being the granddaughter of … an American multimillionaire has given Sally Ryan as much incentive to succeed as if she had been born poor and obscure.” No doubt, but one also wonders if it gave her public less incentive to take her seriously and an excuse to dismiss her as a dilettante, rather than the fine sculptor she actually proved herself to be. For anything new on the campaign to rescue Wolverhampton’s Hepworth bronze Rock Form (Porthcurno) from the evil clutches of Royal Bank of Scotland, please continue to check our Facebook page.